The backdrop is the Sahara with the tops of the great pyramids in the distance slightly obscured by the sand and dust-filled sky. The characters are my son Bryan upon a camel named Michael Jackson, my brother Robert upon a second named Oscar, and me upon the third named Casanova. The journey is a desert trek to the great pyramids of Giza. The lesson: Embrace moments in the unknown. I had feared the moment and now suffer from hesitation remorse. When you caravan across the Sahara the camels are necessarily tied to each other, each one with a rope firmly affixed to the saddle of the camel ahead (think of all those Christmas cards with the three wise men silhouetted at the top of a sand dune). This keeps these magnificent (albeit ugly) beasts in line as they have learned in their domestication that they cannot break free. Having taken a couple of frames, the guide stepped forward and began to tie Michael Jackson to the saddle of Oscar. Much to my surprise, Casanova (my camel), noticing the guide had turned his back, realized that if he would ever be free from the switch of his taskmaster, that was the moment! In what became a futile attempt at freedom, he bolted! With a voice that surprised me, sounding not unlike my morning voice, I pathetically whimpered, “Uh…” and quickly realized that I would need to do better than that. I ratcheted it up a notch with a nervous, “I’m leaving, Hello…” When that didn’t work I cried out with conviction, “Hello!” Finally, the guide came running at us, switch in hand, screaming words of Arabic in what sounded like a Jihad moment of anger and subdued Casanova with a few good smacks of the switch and a tug or two of the rope. After a bit of commotion and a few deep breaths, I found myself once again leading the caravan as both Oscar and Michael were tied behind Casanova and the journey to the pyramids played itself out in all its splendor. After much thought, I have become convinced that some deep inner desire, which I refused to let surface, yearned for the adventure that the circumstance had presented. However, that deep longing for adventure was subdued by my fear. In fact, I now wish that I had shut my mouth, overcome the fear, and held on tight for a once-in-a-lifetime experience. I can see myself bolting across the Sahara, bouncing like a golf ball in a blender on the back of that camel! Our guide would have found me… Eventually! However, on second thought, a camel can go ten days without water! Not good. I had let my anxiety ruin an unbelievable life experience. I am not saying that the experience–to that point–had not been glorious, it had been. However, what fun it would have been galloping across the Sahara on the back of a camel running for his freedom from a tyrannical taskmaster. I had missed a life moment. One that others would have talked about for a lifetime. As leaders, if we learn to enter the territory of apprehension, unfamiliarity, and fear, it may just lead to our break-out moment. If it does, we will be remembered for that ride into the unknown. However, if we back out when faced with that fear, we will continue in the status quo and that break-out moment will be lost forever. I will never be able to recreate that moment on the back of Casanova. It is, regrettably, gone forever. 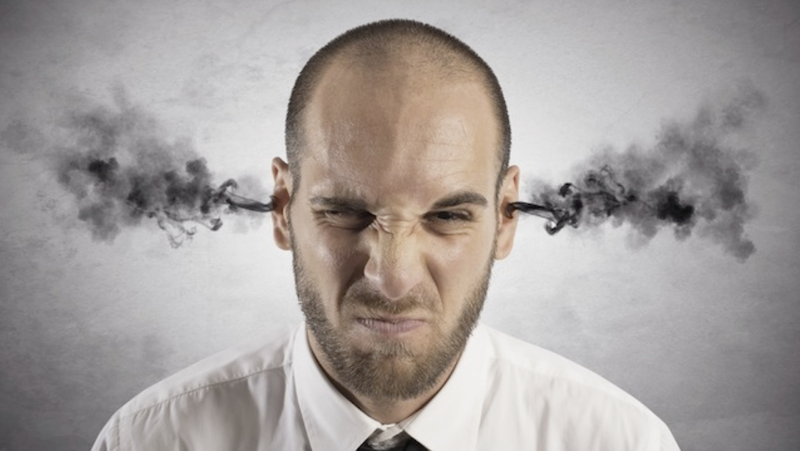 The trickiest of all human emotions, anger can be normal and healthy. Sometimes! It depends on its use. It can help us respond in threatening situations, fuel our motivation for achievement or dealing with injustice, or it can bankrupt us in a moment, leaving us empty and devastated. So how do we manage such a tricky emotion? How do we use it for good and avoid the pitfalls? In our realm as leaders, our environment demands an atmosphere of trust and collaboration. Anger management is crucial to longevity, productivity as well as for general health and happiness. It is highly appropriate that we learn to manage it well. Consider the following: A positive anger response helps us to react quickly and decisively to solve problems, achieve goals, and intensely focus on objectives. A negative anger response can ruin our career, damage relationships, harm our reputation and alienate us from our peers. During a negative anger response we must learn to recognize the signs that indicate a loss of control. Diffusing negative anger is never easy, but there are some concrete steps that help make it possible. Duke University’s Redford Williams, MD, along with his wife Virginia, authored the best-selling book Anger Kills. They recommend creating a “Hostility Log” as we begin to responsibly handle our anger. The idea is that when we understand what triggers us and causes us to get angry, we are more capable of developing strategies to avoid the triggers. Let’s look at some other positive steps. Acknowledge That You Have a Problem – If you do have a problem, those around you see it clearly. Remember, that you will never be able to fix that which you refuse to see. A leader positively acknowledges his or her deficiencies so that they may be dealt with. Use Your Support Network – Notice I said to use your support network and not find one. You have one already, those who love you are your best possible support. Furthermore, there are many professional avenues you can take, including your pastor or mentor. All of these services are eager to help, especially your family. Interrupt the Anger Cycle – Pause, think, breath (deeply), tell yourself you can handle this situation, and stop the negative thoughts… Relax! This may seem ridiculous but it is not. Verbalizing your ability to handle the situation transfers what may otherwise be only a thought to a tangible, actionable affirmation. Be Objective – Use empathy to put yourself in the shoes of the other party. Remember that everyone makes mistakes and that no one is perfect, including you. Also remember that those mistakes serve to teach us how to be better people. Build Trust – When we trust another we do not assume they have malicious intent in their actions toward us. By being trustworthy we release others to trust us in like manner. Angry people tend to be cynical so work on trust. If you think they are all out to get you, you will not be equipped to deal with integrity toward them. Listen – In angry confrontations, or when someone has annoyed us, we tend to speak and not listen. We prepare our verbal comeback to their offensive statement. This often leads to a failure to actually hear what is being said, and to jump to destructive conclusions. Then, we lash out based on our faulty conclusions and escalate the situation. A wise individual listens! Be Assertive – Assertiveness is not aggression. Assertiveness is preemptive. An assertive person will clearly define their expectations and boundaries. This empowers others to know where they may or may not go with you in their conversation or actions. The defining of personal boundaries does wonders in the realm of interpersonal success. Forgive – Forgiveness is an amazing way to release hostility. One who forgives others shortcomings is one who brings peace, not only to others, but also to self. Even if your anger is not to the point of being a problem, these steps are vital practices in relieving stress and avoiding the path that leads to anger issues. Know them, understand them, and if you do not need them, perhaps you can help another who does.